Today’s column deals with the subject of death and dying. While I have not intended it to be so, I do warn that this may be a difficult topic for some readers. The recognition of our own mortality is one of the bleak yet defining features of humanity. The human fixation on death is, for obvious reasons, one totally immune from the effects of time. Though our knowledge of death has increased humanity still lacks any concrete answers on the significance on its yet obtuse nature. Philosophers, who consider themselves great ponderers of the world and its mysteries have given a great deal of thought to death and its significance. Many of these responses are theological in nature but putting those aside we find ourselves with roughly two schools of thought. The first says that a great deal of thought, philosophical and otherwise, should be given to death as it is a part of life simultaneously ubiquitous and unique. The second suggests that no thought at all be given to the subject as its inevitability makes such studies a fruitless endeavor. 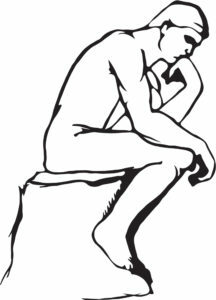 To further unpack the first school of thought let us look at why some consider the topic of philosophy to merit further discussion and investigation. It is important to note that these thinkers are not really advocating for further study of what happens after death. Such topics fall more into the field of theology, rather the concern is with our own recognition of death and how it should affect our lives. Beyond the view that the topic deserves greater attention there is little agreement in this somewhat artificial school of thought. Some say that the omnipresence of death should lead us to despair or live without regard for anyone but ourselves. Others take these same conditions and derive that we live to the fullest in order to maximize the enjoyment of the many. Some go as far as to say that the only reasonable response to the realization of death’s inevitability is suicide, to take our existence into our own hands. These views may seem dreary, but perhaps there is some comfort to be found in understanding and studying death. There may even exist answers or conclusions which can be reached through greater focus and study. The second school has a very different view of the matter and profess that the inevitability of death makes the study of it somewhat useless. After all we cannot change death, cannot avoid it or even truly fight against it. In fact we cannot even understand it with any level of certainty. So why then should we waste time worrying about it? Even if one is mortally ill there is no good to be done dwelling on the topic, technically nothing has changed but the timeline and even that is not certain. While this may seem a callous view it can be understood in a variety of ways. Perhaps such thoughts allow us to better focus on the here and now and those things that we may control and understand. The topic of death is often an uncomfortable one. Even this article which overviews the very question of whether or not the topic of our mortality parents discussion can be a distressing one. Nevertheless I find such uncomfortable conversations useful in many ways. By exploring topics that frighten or worry us we can better understand both the troubling concept in question and our own relationship to it. Perhaps we don’t want to think about these things. There could be horrible memories restored to us in such a way. But it can also help us to understand ourselves. Indeed, the probing of such topics is what makes philosophy what it is.